Liczba stron: 641 Jest to ujednolicona liczba stron, która ułatwi Ci porównanie długości książek. Każda strona Legimi to 200 słów. The Story of Mankind was written and illustrated by Dutch-American journalist, professor, and author Hendrik Willem van Loon and published in 1921. In 1922, it was the first book to be awarded the Newbery Medal for an outstanding contribution to children's literature.Written for Van Loon's children (Hansje and Willem), The Story of Mankind tells in brief chapters the history of western civilization beginning with primitive man, covering the development of writing, art, and architecture, the rise of major religions, and the formation of the modern nation-state.First published in 1921, The Story of Mankind has charmed generations of readers of all ages with its warmth, simplicity, and wisdom. Beginning with the origins of human life and sweeping forward to illuminate all of history, Hendrik Van Loon's incomparable prose enlivens the characters and events of every age. His unique ability to convey history as a fascinating tale of adventure has endeared the book to countless readers and has accorded it a unique place in publishing history. This new version, which retains van Loon's original illustrations, has been brought up to date by John Merriman, professor of history at Yale University. It incorporates the most important developments of the last two decades-including space exploration, the emergence of the developing countries, the Cold War, the Internet, and the astounding advances we have witnessed in medicine and science - and looks forward into the prospect of the twenty-first century.Anyone who can chronicle world history from 500,000 B.C. to present times--and do so in a lively, entertaining style--deserves a medal. Luckily, the bestowers of the very first Newbery Medal in 1922 thought so, too. The warm, personable tone of Hendrik Willem van Loon's writing lends itself to true learning in a way that stern, dry textbooks never do. In the introduction, he describes climbing a tower in Rotterdam in his youth. Years later, the perspective at the top inspired the author to develop a metaphor of history as a "mighty Tower of Experience, which Time has built amidst the endless fields of bygone ages. "This genuinely enjoyable charmer, for history buffs and the historically challenged alike, covers human history from prehistoric times, when our earliest ancestors were learning to communicate with grunts, right through to the issues of the latter 20th century: gay rights, Arab-Israeli conflicts, and health and fitness. Revised and updated several times since 1921, van Loon's inviting classic is filled with stories (and witty parenthetical asides) that bring history alive. His pen-and-ink illustrations, maps, and animated chronology contribute to the cozy, round the fireplace aspect of the book. (Ages 12 and older) --Emilie CoulterWinner of the first John Newbery Medal, this renowned classic is now updated for the millennium. 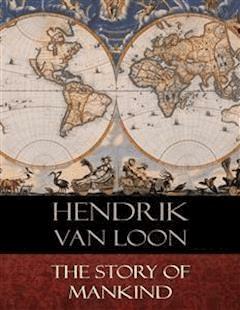 Hendrik Willem van Loon's ability to convey history as a fascinating tale of adventure has endeared this book to countless readers.